Barbara Hayes focuses her practice on real estate finance and general commercial real estate matters. 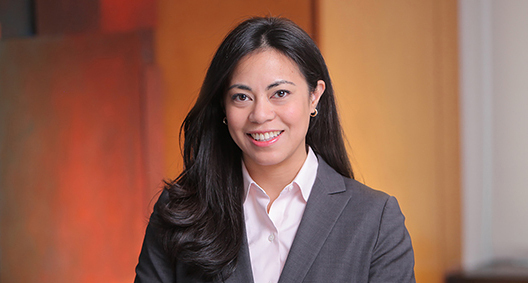 After several years practicing as a litigator in various construction defect and personal injury matters, she has returned to her real estate concentration with varied experience. Able to consider multiple facets of a situation, Barbara strives to understand her clients' needs and dedicates thoughtful assistance in all instances. Assisted in the representation of an affiliate of a private real estate and investment firm in its $56 million purchase and acquisition financing of a 10-acre industrial development site in Bronx, New York. Assisted in the representation of an affiliate of a private real estate and investment firm in its $52 million purchase and acquisition financing of a 550,000 square foot last mile industrial property in Parsippany, New Jersey. Assisted in the representation of an affiliate of a private real estate and investment firm in its acquisition of a long-term leasehold interest in a 90,000 square foot last mile industrial property in Brooklyn, New York. Assisted in the representation of an affiliate of a private real estate and investment firm in its $38 million acquisition financing of an 828,000 square foot distressed shopping mall in Cary, North Carolina. Represented a commercial bank in connection with warehouse lines of credit secured by underlying mortgage loans ranging in amounts from $9 million to $20 million. Assisted in the representation of a commercial bank in a $40 million building loan transaction involving the development of a residential condominium in the Park Slope area of Brooklyn, New York. Assisted in the representation of a commercial bank in a $37.5 million loan transaction involving the construction of a future luxury boutique hotel in Savannah, Georgia. Represented the purchaser in the acquisition of commercial cooperative units located at the Hunts Point Produce Market in Bronx, New York. Assisted in the representation of a landowner in connection with a $50 million mortgage loan to refinance existing debt secured by 99-year ground leases for property located in the Meatpacking District of New York City. Assisted in the representation of a commercial bank in a $50 million loan transaction involving the development of a waterfront community in Potomac Shores, Virginia. Assisted in the representation of a commercial bank in a $23 million mortgage loan involving a commercial property located in the Gowanus area of Brooklyn, New York. Represented the shareholders of an entire cooperative in the sale of their interests in a building located in the SoHo area of New York City. Assisted in the representation of a commercial bank in a $50 million building loan transaction involving the development of a waterfront community in Tarrytown, New York.